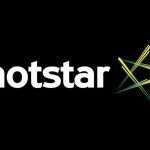 Update 1 (March 1, 2019 at 12:00 PM): Samsung launched the Galaxy A10, Galaxy A30, and Galaxy A50 smartphones in India at an event held in New Delhi yesterday. As confirmed by Samsung recently, the company will be launching one new Galaxy A-series model in India every month till June. One of the upcoming Galaxy A-series smartphones, the Galaxy A40 has now been granted Bluetooth certification. The Bluetooth Special Interest Group (SIG) has certified the SM-A405FN/DS variant of the Galaxy A40. As expected, the smartphone is listed to support the Bluetooth 5.0 Low Energy standard. 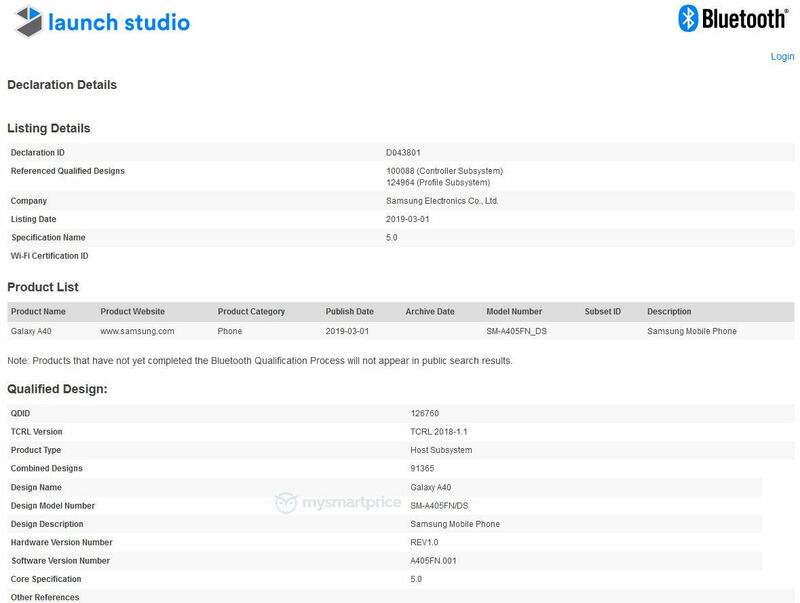 Apart from confirming the Bluetooth version, however, the certification does not confirm any other key detail regarding the Galaxy A40. 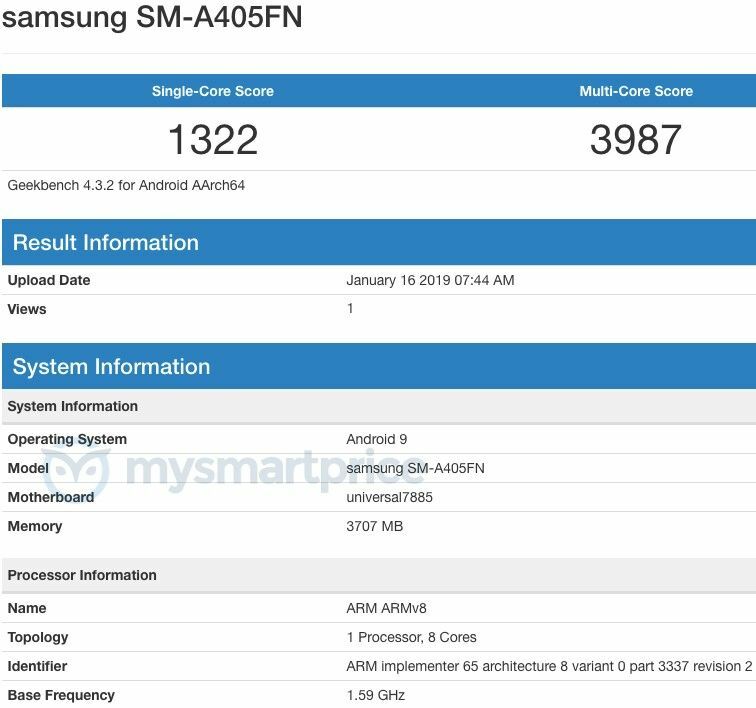 It should be noted that the SM-A405FN variant of the Galaxy A40 had been spotted on the Geekbench benchmark database in January this year. While the Geekbench had suggested the smartphone will be powered by an Exynos 7885 SoC, it is more likely that the Galaxy A40 will run on the same Exynos 7904 chipset as the Galaxy A30. 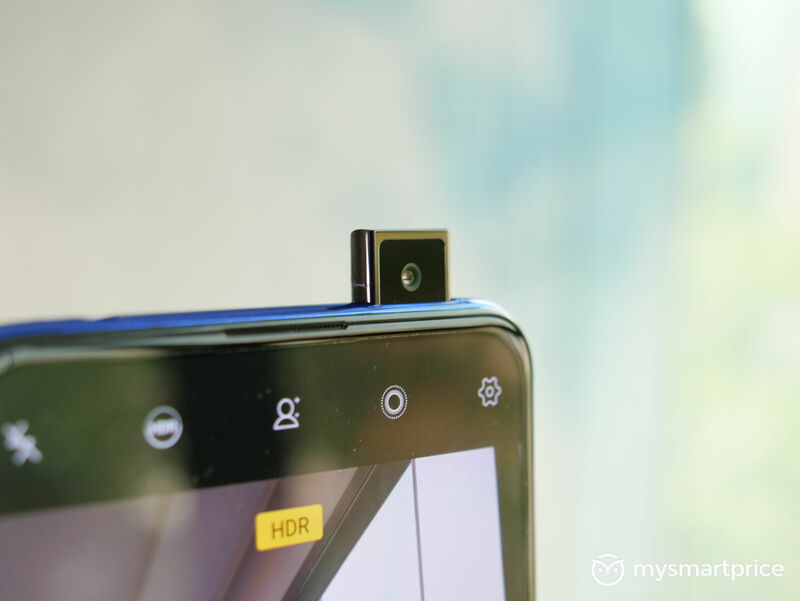 We expect the smartphone to feature a similar 6.4-inch Full HD+ resolution Super AMOLED Infinity-U display as the Galaxy A30 and Galaxy A50 smartphones. It is also likely to come with a 4000mAh capacity battery with fast charging support. 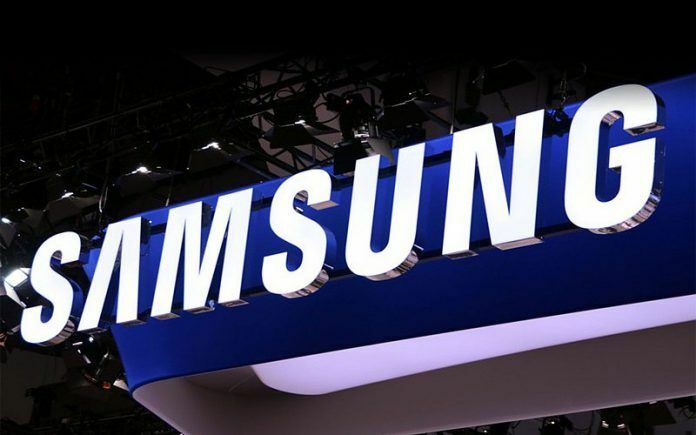 Samsung’s upcoming Galaxy A50 mid-range Android smartphone was recently spotted on the Geekbench benchmark database. We have now spotted yet another upcoming Galaxy A-series smartphone on the benchmarking platform. Going by the model number, it could soon launch as the Galaxy A40. The SM-A405FN Geekbench listing reveals the smartphone will be powered by Samsung’s mid-range Exynos 7885 SoC. A majority of Samsung’s mid-range smartphones released last year were powered by the same chipset, so the Galaxy A40 will certainly not be the most impressive 2019 Galaxy A-series smartphone in terms of performance. The Galaxy A50, which will be positioned above the Galaxy A40, is expected to run on an Exynos 9610 chipset instead. 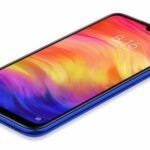 Apart from the SoC, SM-A405FN Geekbench listing tells us the smartphone is equipped with 4GB of RAM and will run on the latest Android Pie operating system out of the box when it goes on sale. Moving on to the benchmark scores, Galaxy A40 achieved a single-core score of 1,322 points and a multi-core score of 3,987 points. In comparison, the 6GB RAM variant of the Galaxy A50 caught on Geekbench recently scored 1,693 points in the single-core and 5,031 points in the multi-core test. 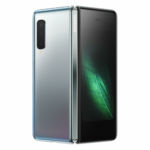 Similar to the rest of the upcoming Galaxy A-series smartphones from Samsung, the Galaxy A40 is expected to feature an AMOLED display with one of the new Infinity displays showcased by the company at its developer conference last year. It is also likely to sport an impressive dual-camera setup at the rear. What remains to be seen, however, is if the Galaxy A40 will feature an In-display fingerprint sensor. Some recent rumors had claimed that Samsung will be integrating an In-display fingerprint into some of its upcoming Galaxy A-series smartphones. 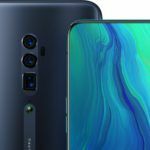 Unlike the upcoming Galaxy S10 and Galaxy S10 Plus flagship smartphones, however, the Galaxy A-series smartphones are expected to use the more traditional optical In-display fingerprint sensors. The Galaxy A40 may also be more impressive than last year’s Galaxy A-series models in the battery life department.